There are a multitude of cancer therapies available and I’m sure the sheer number is intimidating. We will present to you the most important and backed by scientific evidence as well as those that are easy to do but similarly effective. If your cancer or tumor is of solid mass, I suggest you have it surgically removed if possible, if not, then other options may be considered. If the main tumor is removed, your recovery would be easier and faster. For those with multiple tumors, that option may not be practical and even dangerous to operate. Chemotherapy, radiotherapy and other biological immune therapies are the main weapons of conventional medicine. We won’t tell you that it is not for you or its bad for you. Some patient do in fact, do well with these therapies, BUT in almost all cases, cancer recur, not because the treatments are ineffective but the person, being you, hasn’t addressed what made the cancer viable in your body. Studies after studies have already confirmed that cancer stem cells are present in all patients with cancer. Conventional medicine as of yet has no weapon to kill off the cancer stem cells, and this is the main reason why cancers recur. However, cancer stem cells can be reverted or at least placed at bay if the internal milieu (your body) is functioning the way its supposed to be. So if you have had chemotherapy, radiotherapy or both and it didn’t work, it doesn’t mean, its the end of the line. You have other options to consider, WHEN time is not constrained. So let us now proceed to the cancer therapies that might help you! Before we put the new oil, we have to drain the dirty oil out first! Before we do any cancer therapies or interventions, it is of utmost important that the body is first, detoxified. As in homeopathic and Oriental healing philosophies, clearing toxins and or obstructions to healing is of the first priority. Clearing the cellular, organic debris is vital to any kind of holistic treatment. So its important to first be aware of foods, body products as well as environmental influences that cause the body to retain and store toxins. Foods that contains chemicals, synthetic preservatives are to be eliminated entirely. Products containing aluminum such as deodorants; lead and mercury in cosmetic products as well as pollution such as car fumes, electromagnetic smog from microwaves, mobile phones, and other high power consuming devices. Detoxification must be gentle especially if cancer is already been found. Most important organ to be detoxified irregardless of where the cancer is located is the LIVER. However, every organ of the body is connected, so before we even attempt to clean the liver vigorously, we have to cleanse the digestive tract, kidneys as well as the skin. Lymphatic system is also part of the skin, so lymphatic drainage is also necessary. WARNING: not all cancers require lymph drainage as some cancers such as lymphoma and breast cancers may cause more harm than good. Most of the time, when we do cancer treatments, we incorporate detoxification with cancer treatments, because time is of vital importance of which patients are lacking of, in terms of turning the body from cachexia to thriving. But the main point is still to do some form of detoxification. Hydrotherapy or simply water, the most basic and most often forgotten therapy to consider. People think purified, alkaline or distilled water is good enough. A lot of people have asked us, What is the best water? The best water if you are capable of obtaining is the structured water or so called hexagonal or crystalline structured water. This water is present in natural healing places such as Lourdes, France or other pristine lakes and rivers untouched by human population. The Japanese have also devised a machine that produces structured water, or what they called Kangen water. 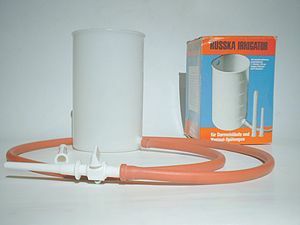 Please do watch video demonstrations of this product and you will be blown away. We have tested and used the water and its really an excellent investment. Kangen Water in fact detoxify down to the cellular level. coffee enemas not only reduce pain from cancer but also detoxifies the large intestine and more importantly,the liver. Dr Gerson cured cancer in the early 1930’s to 1950’s. Almost all other cancer regimen borrowed or adapted from his original works by healing cancer with food and detoxification. Lymphatic Drainage is a massage wherein the lymphatic system is cleansed thoroughly. Do we need lymphatic drainage? A simple test is to fold both arms in front of your chest, you hands will naturally be situated near the side of the chest, press all your fingers on the chest, if you feel pain or tenderness, you therefore need a lymphatic drainage massage. Another easy way to decongest the lymphatic system is to jump on a trampoline. Sauna or Dry Heat increases perspiration and also drains the lymphatic system. One more way is by using a body brush and sweep the skin and open up the skin pores to let the toxins out of the skin. Herbs and homeopathic remedies. There are so many herbal remedies and homeopathic solutions that are excellent for detoxification. Our favorite is the Detox Kit by Heel. It is very mild yet very effective in detoxifying the liver, intestines, kidneys and lymphatic system. There are more than 10 different kinds of intravenous therapies and vitamin cocktails used for cancer aside from those that are being used by conventional medicine. Some of these therapies are not legally available in some countries. Sodium ascorbate or Vitamin C. Probably the most studied and most critically debated amongst doctors and patients themselves. Evidence have shown that intravenous vitamin C has a significant effect on the quality of life for cancer patients especially if they are terminally ill. Intravenous doses of vitamin C has been demonstrated to have anti-proliferative effects on breast, colon, lung, liver, prostate cancers as well as leukemias. Moreover, high doses of Vitamin C have been shown to produce hydrogen peroxide intracellularly in cancer cells, this causes the cancer cells to die. Alpha Lipoic acid is a anti-oxidant that seems to be very effective for liver as well as pancreatic cancers. Dr Berkson found out that alpha lipoic acid given intravenously for twice a week with low dose naltrexone cured a patient with pancreatic cancer with liver metastasis. At the very least, alpha lipoic acid buy some time especially liver and pancreatic cancers since these cancers are very aggressive even with standard chemotherapy regimens. WARNING: Dr Berkson cautions that alpha lipoic acid may cause some liver necrosis in a certain group of patients, so alpha lipoic acid should be started on lower doses. Laetrile, Amygdalin or Vitamin B-17. One of the most controversial vitamins for cancer, doctors have been fined, sued and suspended for using amygdalin intravenously. That being said, its either the vitamin really works so well its scaring some people with vested interest or this is really a bad medicine. We have in our experience, shown that in a select group of patients amygdalin does have an effect against cancer. So this is an option that can be utilized for cancer patients. Most of the time, vitamin B17 is combined with vitamin C and DMSO as a cancer regimen. The best amygdalin source is from Cytopharma, Inc.
Anti-Neoplastons by Dr Burzinski is an excellent therapy especially those with brain tumors. Dr. Burzynski has his own research facility in order to prove his therapy works. This is due to the mainstream doctors reluctance to use his therapy. His treatments are expensive due to the US FDA’s stringent requirements for his anti-neoplastons that is driving the cost of therapy. Glutathione therapy is primary used not as an anti-cancer agent but to support the liver in detoxification. Especially for cancer of the liver, gallbladder and pancrease, glutathione replenishes the body’s requirement for this anti-oxidant. Insulin Potentiation Therapy (IPT) is not actually an anti-cancer treatment, it is more of an adjunct to increase potency of the chemotherapy drug used while lowering its dose to prevent side effects from it. Hi my father is 70yrs old and has a liver tumor with a mass of 7cm. He didnt want to go biopsy and opt for natural treatment. We have heard about high dose of vitamin C IV. 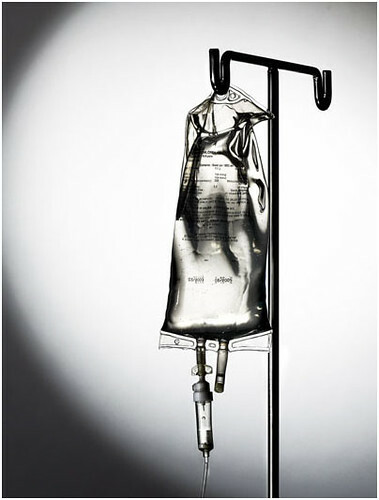 How much is your iv vitamin c? My 47 y.o. brother was diagnosed with lung cancer stage 4, 3 days ago. The tumor expanded to his spine that made him very difficult to walk. We havent started RT and considering alternative meds. Appreciate your advice. Thank you. Do you also sell Vitamin B-17 in your clinic? Hi Dr. Lim, my boyfriend”s oncologist recommended a vitamin C IV treatment. How much is the cost he is 5″6 and weighs 200 lbs. Hi Dr. Lim, my mom was diagnosed with stage 3 adenocarcinoma of the stomach. The recommendation is surgery last Feb 2018 as the cancer has not spread but my mom doesn’t want surgery especially that she’s also a diabetic. We have started treatment with an integrated medicine clinic in QC and she’s doing the Gerson therapy though she is unable to complete the 13 juices daily. She is also doing a plant-based Keto diet. She has been doing other supplements like AHCC, probiotics and IV treatments. Just two days ago, she just had a fever and was in so much pain where the cancer is located. When we brought her to the hospital they can’t pinpoint the cause since the blood and urine tests are ‘ok’ and appeared to be viral in nature. I felt like what we have been doing is not working. Hello po Dr. Lim. My mother is 74yo, suffering from continuous pain in stomach area for past 3weeks. She lost weight over past 3 months. Gastroscopy showed no problem. 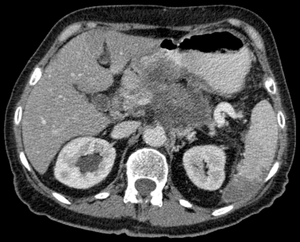 Abdominal ultrasound showed heterogenous/nodular echopattern in liver and peripancreatic lymphadenopathy. Blood test showed CA19-9 over 70k. Doctor recommended either MRI or CT scan w/ contrast as our next step. Mother had hip replacement, thus cannot do MRI. She also has only 1 kidney due to surgery over 20yrs ago, thus our family decided against CT scan w/ contrast. We asked about CT scan w/o contrast, however we were told that accuracy could not be guaranteed with this approach. We are also concerned about radiation risk of CT scan, and if this risk is worth taking considering it’s a diagnostic tool rather than treatment.. Is there another way to diagnose po without subjecting her to such risk? Can we proceed with alternative treatment even without a clear diagnosis? Highly appreciate your thoughts/suggestion po.. We hope to visit your clinic soon..
Will take a look at this option po. Many thanks for your suggestion! Will do visit soon po. Much thanks for replying. Can IV vitamin C can reverse artery blockage? Hi Dr. Lim. My mother was diagnosed with pancreatic cancer. She is already 79 years old and the doctors do not recommend chemo or surgery anymore. We are looking for an alternative treatment for my mother. Do you have any treatment that will possibly cure my mother. I was diagnosed with right Breast cancer in May 2018; stage 3, grade 3. Surgery is done and margin was clear. 20 lymphnodes were removed and 6 had the disease. I am going through chemo (FEC-D) and then radiation therapy. I estimate that I will be done treatment by Mar 2019. I’d like to go on rebuilding and detoxification after treatment based on everything you have discussed in the article. Can you please let me know of the program or treatment that you have that best suits my situation with the goal of stopping the disease in coming back. I am currently overseas but would be willing to travel to Manila to get the best help. Thank you so much help. Hi Dr. Lim, my mother 74 yrs old was recently diagnosed with non-small cell lung cancer Stage 3b. For her cancer staging, she is not qualified to go under surgery, and so she is to go chemotherapy instead, but we are having second thoughts. She has been going through immune therapy for the past weeks, thinking that it might help her have something to counter if ever she goes to surgery or chemo. We have been looking for alternative treatments for her, and we have found out about Insulin Potentiation Therapy. I wonder if you have this kind of treatment? Thanks!